Located in Chula Vista, California, Southwestern College (SWC) hosts a Guest Writers Series . 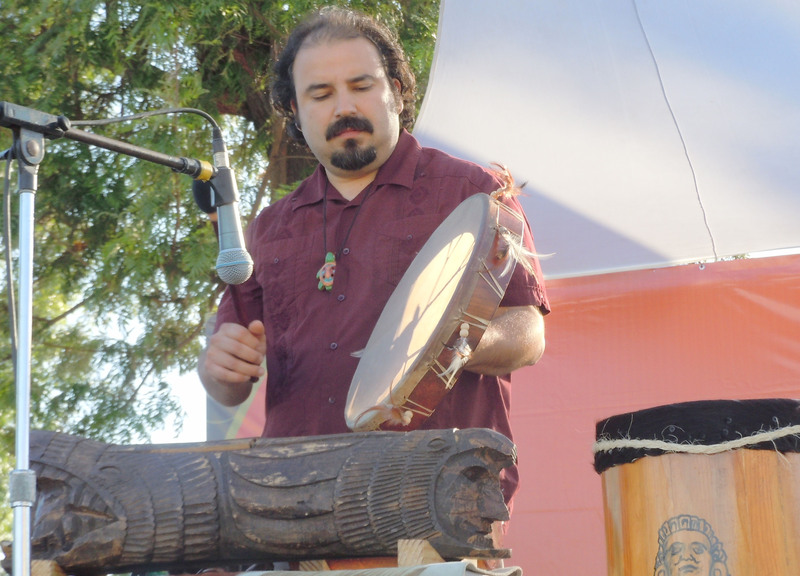 Francisco Bustos, poet, musician, member of the spoken word/music collective Frontera Drum Fusion , and professor of English composition at SWC blogs about the P&W-supported reading series. Every month SWC  invites California-based writers to share their work. We have one bilingual reading and several Spanish language readings each semester. Many writers hail from San Diego County as well as the border cities of Tijuana, Baja, and California, Mexico. Being so close to the U.S.-Mexico border gives us a unique environment, rich in culture and aesthetic diversity. Our invited writers read in various styles, from English to Spanish and from Spanish to Spanglish (a mix of Spanish and English). It is not uncommon to hear audience members switch between languages in the middle of a conversation with a writer. On occasion, I participate as a poet/musician in literary and cultural events on both sides of the border. This gives me opportunities to network with writers from North County, San Diego, (the U.S. side of the border) as well as writers from Mexicali (the Mexican side of the border). Because of festivals like the Tijuana Book Fair and other festivals sponsored by the Tijuana Cultural Center , I also get to meet (and subsequently invite) writers who live far from our border region. We've had writers from as far as Mexico City! Major support for Readings and Workshops events in California is provided by The James Irvine Foundation . Additional support comes fromt the Friends of Poets & Writers .